Take part in the annual Run. Walk. Roll. 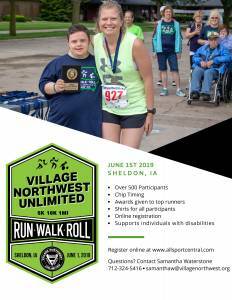 hosted by the Village Northwest Unlimited. Registration forms can be found below. We hope to see you there!